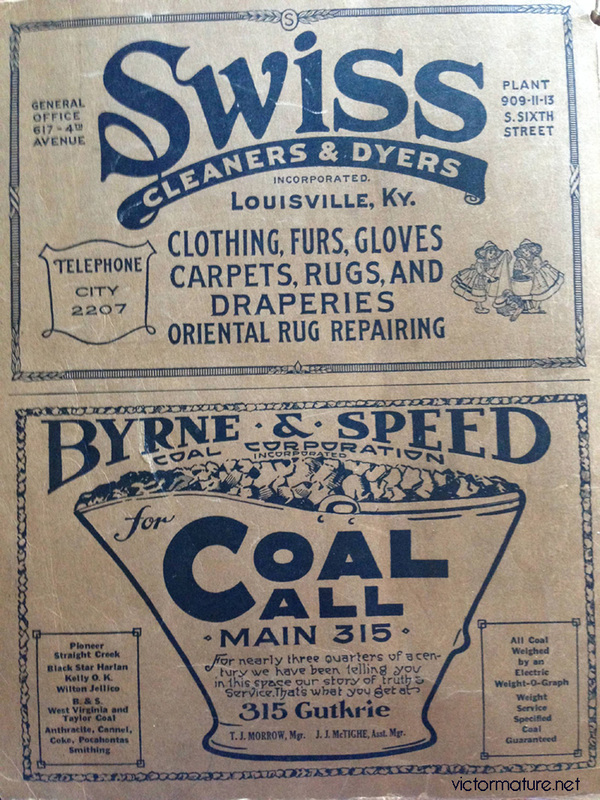 Check out this fantastic 1926 Phone Book from Louisville. 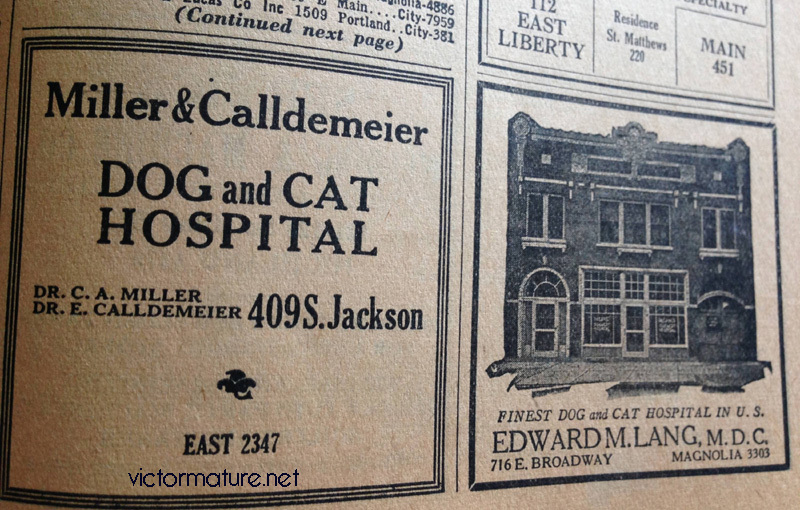 You can see Victor's childhood home info and phone number and just many great advertisements from the book from Louisville in 1926. Victor would have been 13 years old then. 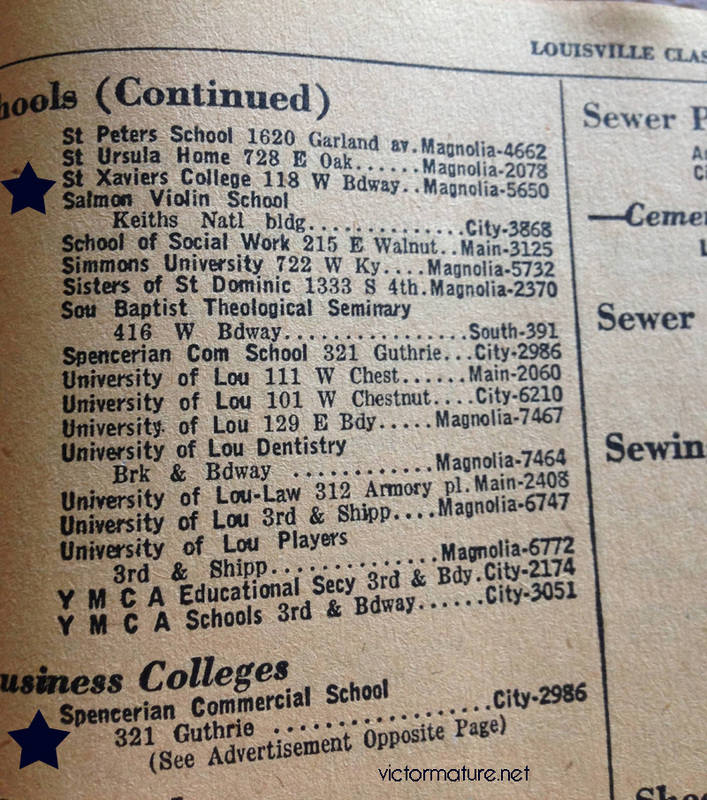 Check out some of the fun ads and listings from some places related to Victor's life in Louisville. 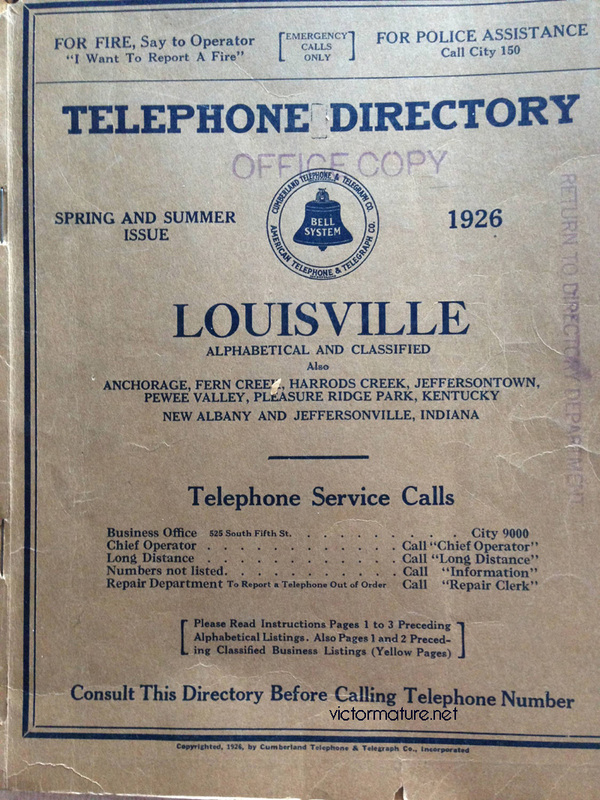 Here is the cover of the telephone book. 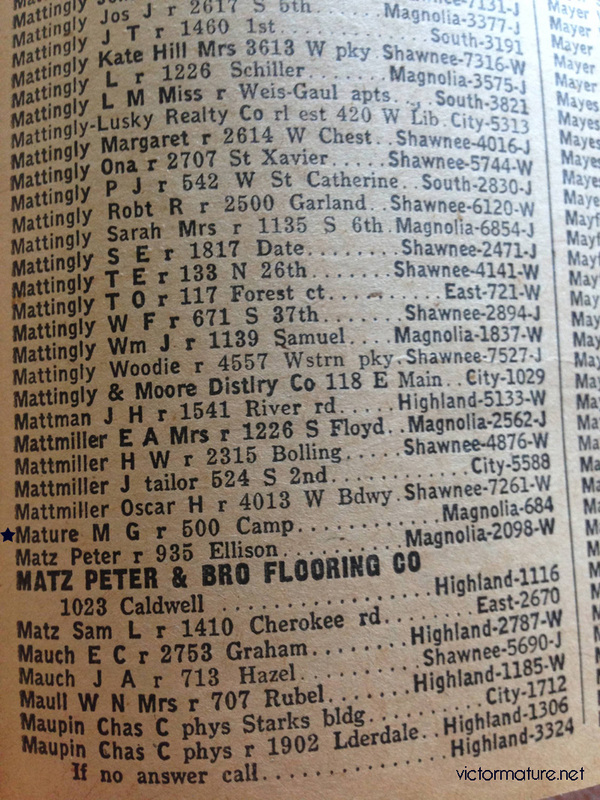 Here is the listing for Victor's childhood home. M G Mature - Vic's father Marcellus at 500 Camp Street. Love the phone number! 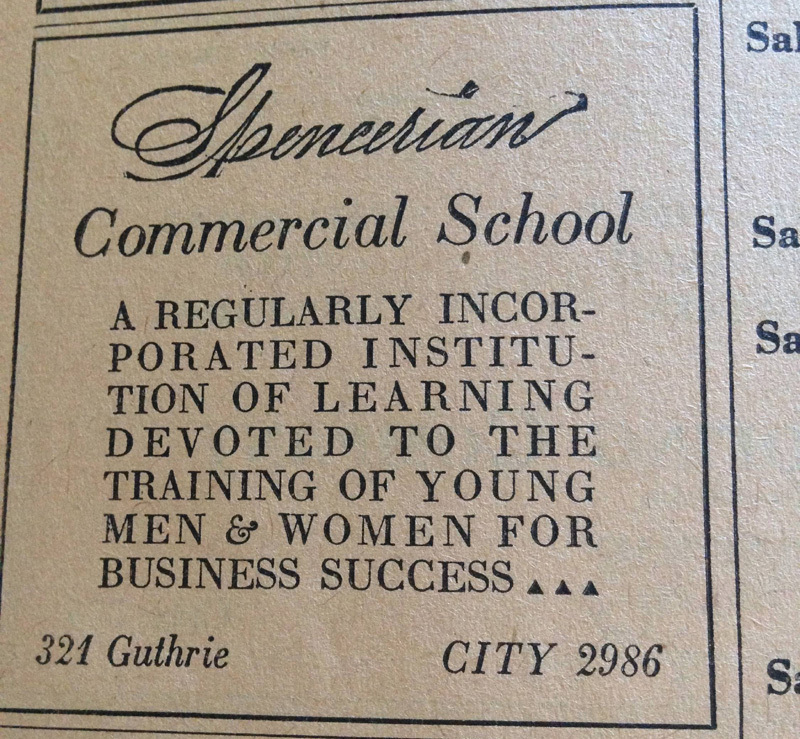 Not sure if this is true but I read that Vic attended the Spencerian Business school for a while. 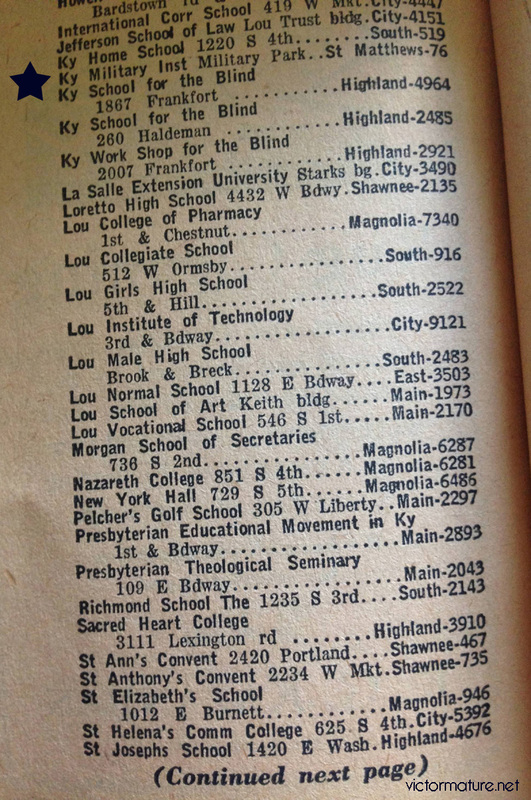 Listing for the Kentucky Military Institute. This is not Vic related but I just loved the Dog and Cat Hospitals! I read that Vic attended St. Xaviers (not sure if this is the correct one.) 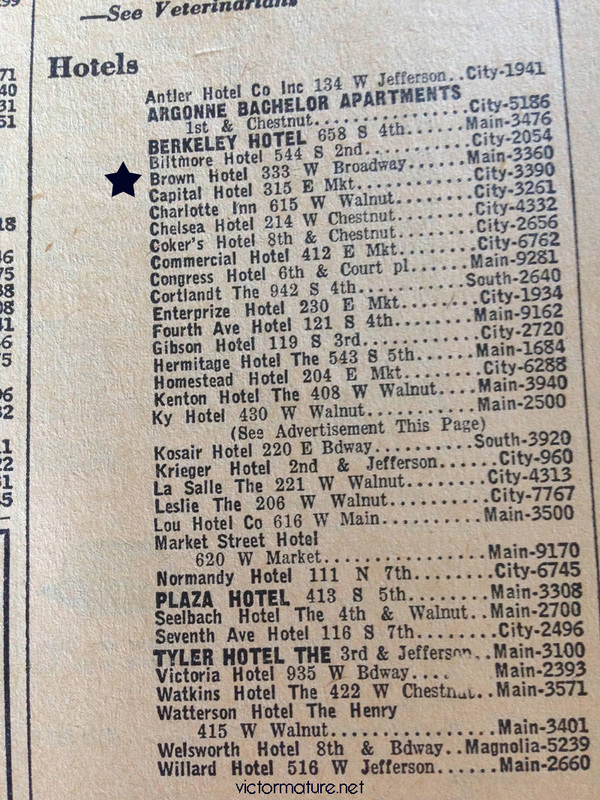 Plus listing for the Spencerian Business School. Vic worked at the Brown Hotel. 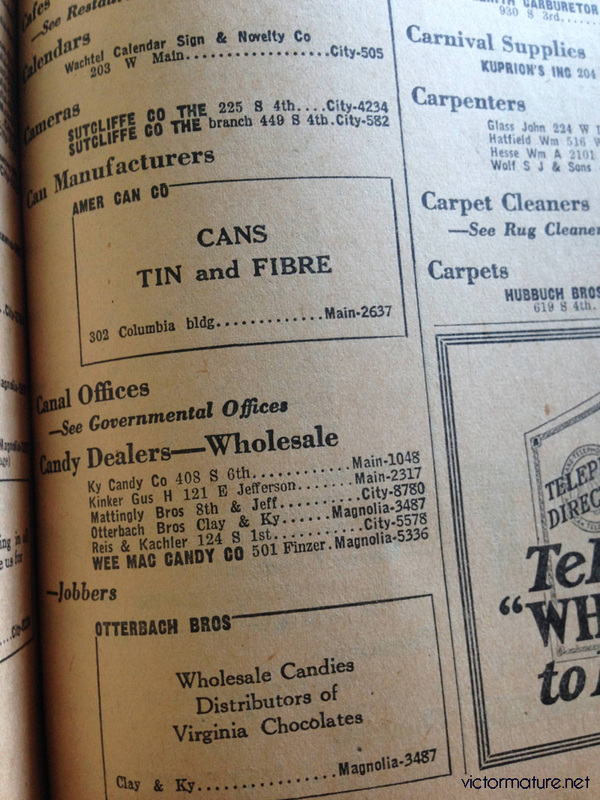 Victor worked as a candy jobber so I just posted the listing for some candy jobbers in Louisville in 1926. Just some fun advertisements on the back cover.